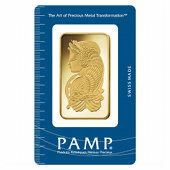 physical gold bullion products from Silver.com. Investing your money can often be a wise way of preserving your wealth and preparing for turbulent economic times, there is no doubt about that. Historically, one of the most stable investment avenues has been precious metals, and more specifically, gold. People have been investing in and bartering with precious metals for thousands and thousands of years. This is different than other investments such as stocks, which have been valued for only a very short time and whose volatility is generally much greater than that of gold or other precious metals. Ever since gold has been an accepted form of investment, it has been made available in many forms. One of gold’s most common forms is bullion. The purpose of this page is to explain the different types of gold bullion, as well as the differences between each type. Though gold investing may seem like a pretty straightforward plan, the reality is that there are many forms, brands, sizes and variations of physical gold bullion. Below we have outlined the most popular types of gold bullion and identified what differentiates them from one another. An investment in gold sounds easy enough, but something that most inexperienced investors fail to account for is the fact that there is more than just one type of gold that you can invest in. Not only that, but the different types of gold that do exist serve different investment purposes. There are three different types of gold generally available for investors to purchase, sell, and trade. 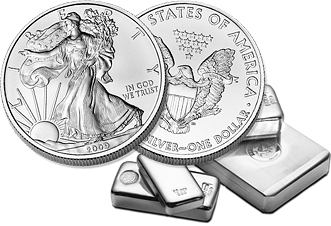 These three types of gold are bullion bars, bullion coins, and bullion rounds. Each one is different from the other and therefore will carry different prices (even if the size, weight, and purity are similar). Coins are a form of gold bullion that also represent official currency in their home country. Nowadays the spot value of gold is such that many of the gold coins in circulation today have nominal face values that are much smaller than the coin’s actual worth or “melt value”. Because it would be foolish to use these gold coins to purchase consumer goods, many investors buy them as a way of investing in gold. Coins, unlike other forms of the metal, are produced in only one country and are viable forms of currency. 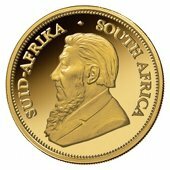 Because the supply of coins can be as limited as the producing nation decides, sometimes the value of the gold coin in question is heavily inflated due to the scarcity of the coin itself and its value to collectors. This means that even though you may have two coins of identical size, weight, and purity coming from different countries, they will almost never be the same price. For this reason, some coins can serve as great investment vehicles, while others are more collector’s items as their prices will be inflated due to their relative scarcity. The next type of gold you are able to invest in is rounds. Gold rounds look and feel exactly like gold coins though they are different, because they are not government mandated and are instead produced by private mints. Even though some rounds are made to look exactly like coins, they are rounds because they hold no legal tender status. Gold rounds are not nearly as common as coins or bars, and, as such, aren’t produced by too many mints. The final type of gold that is popularly invested in is gold bars. Bars are perhaps the most popular and come in a variety of different sizes. Unlike coins they can be produced by private mints, and unlike rounds their designs are often simple and plain. The variety of sizes of gold bars is far greater than any other type of gold, part of the reason why they are so extremely popular. What Type of Gold is Best? Overall the two most popular vehicles for investments as far as gold is concerned are bars and coins. The wide range of sizes and even larger amount of producers means that you will have many more options to choose from. Rounds, like bars, are produced by a number of different mints and can also be found close to spot value like bars. The thing about rounds, however, is that they are sometimes harder to find depending on the issue and edition you are looking for. Because they are sometimes made in collector’s additions, certain rounds have their prices artificially inflated by high demand and things of that nature. This is not common, though it does happen. Now that you have been made aware of the different types of gold available to you, you can now decide which types will be most suitable for your investment. Since there is no real answer to what the best type of gold to buy is, a good place to start is to compare the prices of similarly sized and weighted gold products.